I am so old that I remember when quiche became really trendy in Australia. I am hoping it was the 1980s, but I have an ugly suspicion it was the 1970s. Although known as a classic French dish, the quiche originated in Germany. The word quiche means “cake” which came from the German word Kuchen. Today, quiche is considered as typically French. And to be honest, it has become one of my favorite foods over time. What’s not to love about eegs, cheese, pastry and of course, cheese. Quiche lorraine is a popular variant that was originally an open pie with a filling of custard with smoked bacon or lardons. It was only later that cheese was added to the quiche lorraine. The addition of Gruyère cheese makes a quiche au gruyère or a quiche vosgienne. 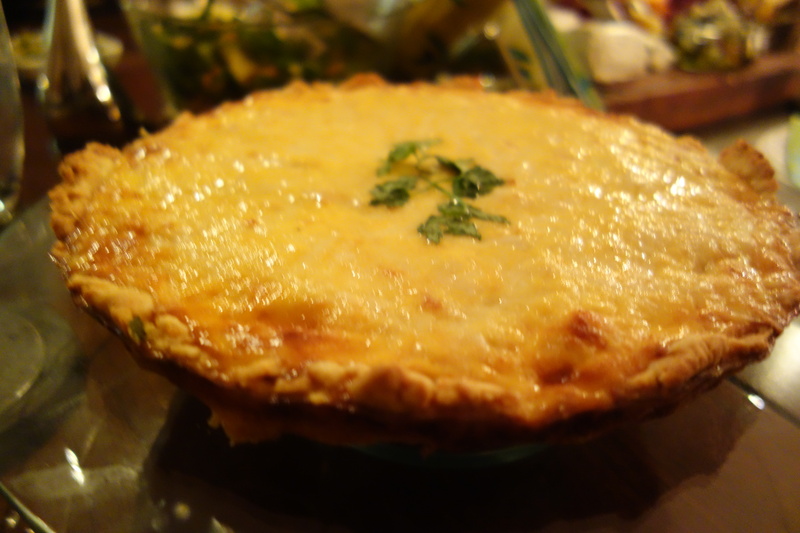 The ‘quiche alsacienne’ is similar to the ‘quiche lorraine’, though onions are added to the recipe. Last night I had the honor of being invited to the home of two new friends – Dennis and Sarah – and was served a completely delicious and home made quiche (and an extraordinary cheese platter). A great selection of hard and soft cheese including a goats cheese with herbs that I devoured (elegantly of course). 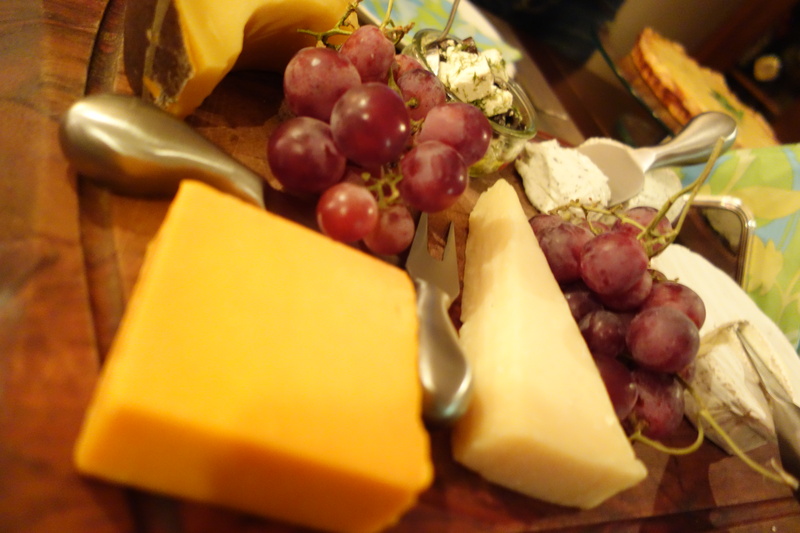 Anther great one was an aged edam…yummmmm. One of the great things about living in a foreign country is meeting new and interesting people on a regular basis. This was one such occasion.